From being the founder of the band Orleans, with hits including “Still The One,” and “Dance With Me,” to co-writing Janis Joplin’s “Half Moon,” Steve Wariner’s #1 country hit “You Can Dream of Me,” and also “Power,” which became the theme of the NO NUKES concerts in the 1970s, John Hall is a musician of mega credits. He has collaborated in the studio or on the stage with Little Feat, Jackson Browne, Bonnie Raitt, Graham Nash, Chet Atkins, Carly Simon to name just a few. Given all this, his life would be worthy of this bio, to be sure. But Hall is also an activist. He got into environmental causes around his hometown in upstate New York, led that merry band of musicians through the NO NUKES shows and in 2006 won a seat in Congress. There he shook hands and worked with the leaders of the day and worked hard to get many initiatives passed. 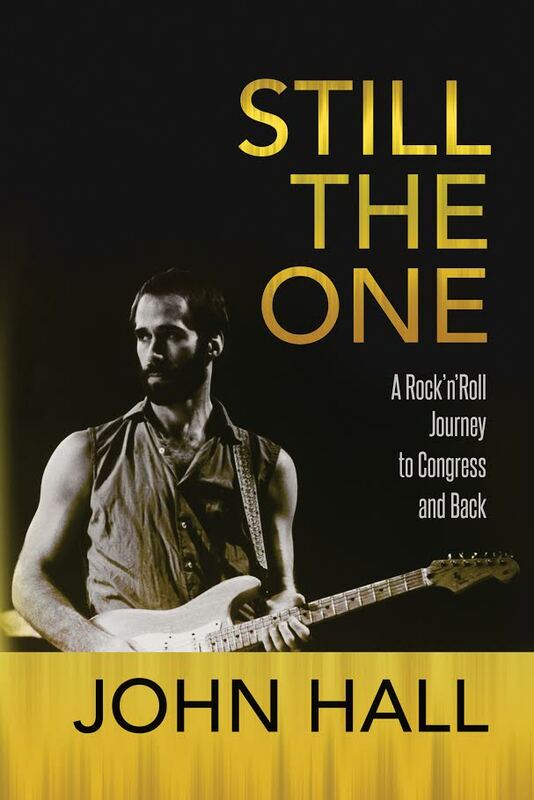 Still The One: A Rock’n’Roll Journey To Congress And Back is certainly an entertaining read. For those interested in the liberal side of politics, there are lots in this book to please you, for those interested in the beginnings of 60’s rock, there are a goodly amount of tales here, and for those who want to get to know more about John Hall, this whole book is perfect for you. You can purchase Still The One: A Rock’n’Roll Journey To Congress And Back at CREATE SPACE and at AMAZON.